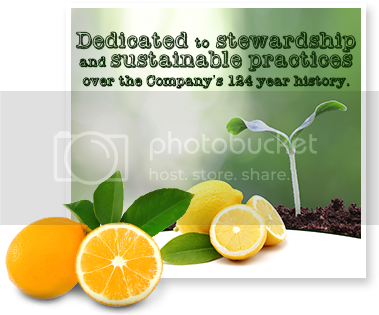 Limoneira In The Pacific Coast Business Times Special Report "Who's Who In Energy & Environment"
August is here, and it is bringing with it a bevy of lemon-centric holidays before the new school year begins. 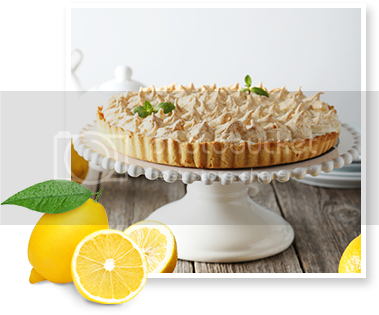 This month, Limoneira spokesperson Megan Roosevelt and Nikole Goncalves from " Health Nut Nutrition" have put together an easy and festive selection of recipes and ideas to celebrate National Lemon Meringue Pie Day (August 15th) National Lemonade Day (August 20th) and National Lemon Juice Day (August 29th), in zesty, citrus style. For a helpful demonstration, you can watch Megan create the recipes below or click here to visit our YouTube channel. Don't forget to subscribe - videos with more wonderful tips and tricks not detailed in this release will be added to the channel each Friday throughout the month. Limoneira has also linked with additional global chefs and mixologists, nutritionists, and beauty lifestyle and green cleaning experts that share their knowledge with the customers of our grocery and food service partners around the world. Their biographies can be found on our website. Lemon Chia Seed Water - There are endless ways to celebrate and utilize lemon juice for National Lemon Juice Day - or as we like to call it, the ultimate gift from the citrus world. The following is brought to you by Limoneira guest blogger Nikole ("Health Nut Nutrition") for your enjoyment. Don't forget to visit her channel and to subscribe for more amazing recipes and healthy, yummy recipes and tips! Check out the recipe here. Blueberry Lemonade - Next up, celebrate the always-classic National Lemonade Day with an easy, nutritious and delicious recipe from Limoneira's own Megan Roosevelt. Check out the recipe here. Lemon Meringue Pie - To celebrate the delicious National Lemon Meringue Pie Day, we're bringing back a beloved recipe from last summer. Check out the recipe here. 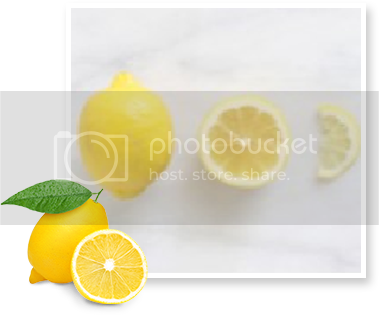 Each month, Megan will be featuring another wonderful facet of citrus living, with the help of a special, surprise guest from YouTube. Subscribe to Limoneira's YouTube channel for more information on the many ways this endlessly versatile fruit can improve life inside the home and beyond. 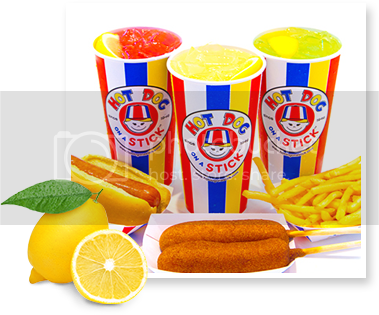 It will be all things lemon(ade) on August 20 when Hot Dog on a Stick celebrates National Lemonade Day. Hotdog on a stick. "Hot Dog on a Stick is famous for our fresh hand-stomped lemonade and our friendly and smiling service," said Lisa Merrell, Vice President of Hot Dog on a Stick in an earlier press release. 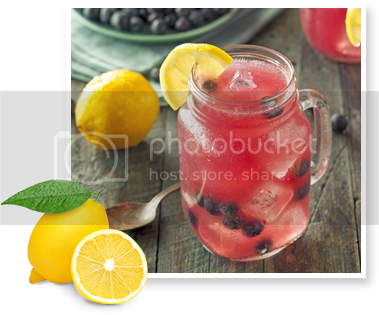 National Lemonade Day is a perfect occasion to celebrate". Hot Dog on a Stick is known for its signature made-to-order stick items and the colorful uniforms that the employees wear. Its first store opened at the original Muscle Beach location next to the Santa Monica Pier in Santa Monica, California in 1946. Their lemonade is made fresh at least every two hours and is available in original flavor, cherry, lime, blue raspberry and frozen in all flavors. When you're out and about with family and friends enjoying a meal at your favorite restaurant or celebrating a little "me-time" at a prized beverage outpost, the chances are pretty good that Limoneira citrus will be on the menu (remember to ask for it!). From our orchards to food and beverage establishments around the world, Limoneira healthy citrus brings just the right amount of zip to chefs' and mixologists' great recipes. This one isn't new, but it is still popular. Using fresh grown ingredients helps to ensure freshness in your dishes. It's no surprise "from tree to plate" is still up there with top trends. Modern diners want to know what they're getting when they eat out. More restaurants will be breaking down the walls between their front- and back-of-house areas to show off their kitchens. This includes fine dining as well as fast casual restaurants. Apps like Grubhub, Doordash, and UberEats are available in many cities around the globe, but we'll likely see their reach broaden this year. 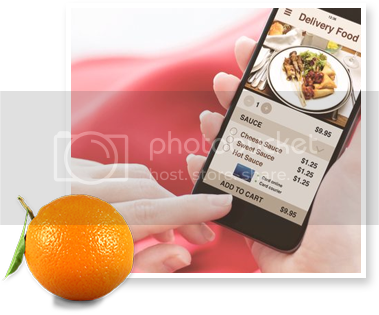 We'll probably see some similar apps emerge, too, as more customers enjoy the convenience of ordering delivery from their mobile devices. Four percent to 10 percent of food purchased by a foodservice operation gets discarded before ever reaching a guest, according to LeanPath. The issue ranked No. 7 on the National Restaurant Association's What's Hot list of 2017 trends. The hard work many members of the industry have done to educate the greater public about food waste and reduction seems to be paying off as more operators now embrace what was once a special, sustainable initiative reserved for the few into standard operating procedure. Limoneira's Sustainability advertising will appear in the Pacific Coast Business Times' special edition "Who's Who in Energy & Environment" . This issue builds on the foundation of their former Who's Who in Clean Tech & Sustainability special report and has been expanded to include a separate listing of executives, government affairs representatives and major players in energy production, energy management and utilities. The convergence of conservation and energy production under California's AB 32 standards means traditional energy companies and alternative energy producers are becoming increasingly integrated, particularly with the arrival of utility-scale renewable projects. Who's Who in Energy & Environment gives a more complete picture of the energy/environment lineup in our region. Limoneira is a major provider of solar energy in the region. When it comes to Alzheimer's prevention, all foods are definitely not created equal according to Harvard trained neurologist, Dr. Richard Isaacson. He notes that when selecting nutritious fruit to help patients with Alzheimer's, citrus fruits are some of the healthiest. According to PubMed.gov (U.S. National Library of Medicine), among the antioxidants, Vitamin C has been regarded as one of the most important nutrients for healthy nerve tissue. Vitamin C also plays an important role in reducing oxidative stress (known for playing a major role in the progression of Alzheimer's disease). 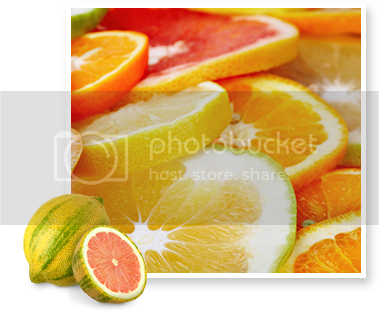 One of the amazing properties of fresh citrus fruit is its high fiber and high Vitamin C content. Vitamin C has been linked in studies with reduction of cortisol levels and reduced belly fat storage. When belly fat increases, the risks for diseases such as diabetes, heart disease, and even Alzheimer's disease rises as well. You can read the complete article here. Limoneira's One World of Citrus™ model ensures a constant source of citrus supply for our global customer base. Agriculture is dependent on growing seasons and complex supply chains to deliver the food we eat to a hungry world. Limoneira grows lemons and other citrus in California and Chile and has partnerships with like-minded growers in Argentina, Mexico, South Africa and New Zealand to provide supply when gaps exist. 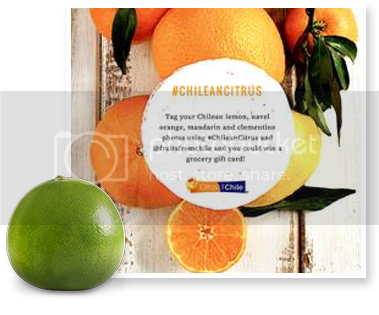 Limoneira's investment and partnership with Rosales in La Serena Chile is a member of the Chilean Citrus Association and in July, the Chilean Citrus Committee launched a lineup of social media promotions set to run from now through the end of October. The program will involve three months of Facebook promotions, from July through September, and an ongoing Instagram promotion that will extend through October. Karen Brux, Managing Director for the Chilean Fresh Fruit Association (CFFA), noted, in a press release, that there are different peak times for Chile's various citrus categories, so each month's promotions will focus on a different fruit. 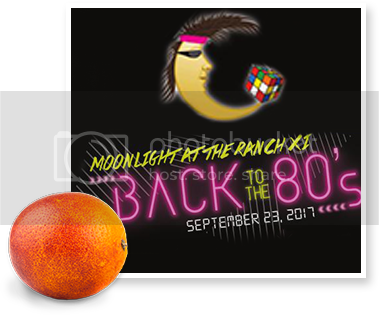 Moonlight at the Ranch XI is set for September 23, 2017, at the Historic Limoneira Ranch in Santa Paula, California. This year's theme is "Back to the '80s" where you are invited to dress in your favorite outfit from that decade or just go casual. Enjoy appetizers, a no-host cocktail party, and tastings from dozens of fine restaurants, exciting raffles, and dancing the night away. We're excited to announce this year's music will be provided by DJ Bruce Barrios and The Radio Rebels - The ultimate party band for the 80s and beyond! By attending this event, you'll be helping to make Santa Paula safer by assisting the Police and Fire Departments in providing quality services and valuable programs in the Santa Paula community. All proceeds from Moonlight at the Ranch benefit the Santa Paula Police & Fire Foundation, a 501(c)(3) charitable organization (Tax ID# 26-1911132). The SPPFF provides a source of supplemental funding for essential services and equipment that go above and beyond what the City's budget allows. www.MoonlightattheRanch.com. Nikole Goncalves, Megan Roosevelt's August Colab partner is the founder of Health Nut Nutrition®. She brings her significant audience a variety of vibrant and mouthwatering dishes that are easy, healthy and sure to satisfy. 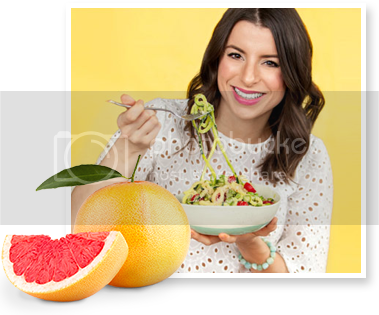 Health Nut Nutrition's recipes don't follow any specific label guidelines such as gluten-free, dairy-free, vegan, or paleo, although many of Nikole's recipes have those characteristics. She notes that eating healthy doesn't have to be all salads and celery sticks and her goal is to inspire and educate viewers about the food they're eating and help them to create a long-term plan of incorporating heathy foods that are sustainable in an everyday routine. There are no super complicated recipes, ingredients you've never heard of, or outrageously priced supplements here; each recipe is about finding flavors that work together and incorporating fresh and healthy ingredients that will excite your palate, one taste bud at a time. Jordan Hamons is a classically trained chef, cooking teacher and food and travel writer. She lives in Cincinnati Ohio and is the visionary behind The Hungry Traveler, a culinary travel blog about globally inspired cooking and food-driven travel. Jordan studied business at the University of Cincinnati, Soongsil University in Seoul Korea and Toulouse Business School in France. She completed her culinary training at the Midwest Culinary Institute and has continued her education by taking cooking classes around the world. Jordan has worked as a corporate chef for a Fortune 500 company, as a restaurant consultant and as a food and beverage branding specialist working with brands such as the Cincinnati Bengals, Jim Beam, California Pizza Kitchen and Kellogg's. Seaside Park in Ventura will once again be transformed into an oasis of entertainment as the Ventura County Fair begins on August 2nd. A record crowd of 332,262 people attended in 2016. The first Ventura County Fair took place in 1874 at the end of the local San Miguel Days harvest festival with attractions that included cockfighting, bullfighting and horse racing, as well as nightly balls. From 1877 it was held at Pierpont Bluffs, until 1891 when it was moved to Port Hueneme. The Seaside Park property that includes the Ventura County Fairgrounds was donated to the county in 1909 by E. P. Foster, and the fair began to be held there from 1914. Many notable artists and bands have played at the fair, including The Beach Boys, Jimi Hendrix and Smokey Robinson. 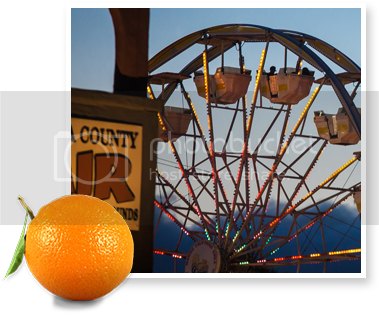 The 142nd Ventura County Fair, "Rooted in Tradition" will continue until August 13th. Limoneira Company knows a little something about tradition having begun in 1873 and has been a big support of the Fair for years. Please stop by the Limoneira booth at the Fair for an opportunity to learn more about the company. Last year's pumpkin patch at Limoneira Ranch drew over twenty thousand people from far and wide, and this year's patch is pushing the "Wow" factor even higher. Nestled among lemon groves, framed by mountains and country air, the 15-acre Pumpkin Patch, including a 5-acre Corn MaiZe, is family fun for all on a real farm, that has been in operation for over one hundred years. Visitors will be able to climb the towering hay pyramid, see and hold Future Farmers of America (FFA) animals, take guided tours in old fashioned hay wagon rides through the groves and enjoy festive foods and live entertainment and more. The patch features a recreated French Trebuchet (catapult) that challenges folks, for an extra charge, to hurl pumpkins at the "castle" and win prizes. And..... perfect pumpkins and gourds far and wide for sale. Super exciting, this year the newly designed 5-acre "Bee Amazed" Corn MaIze will feature a bee, a flower, bee hive and Santa Paula 2017. Visitors fortunate enough to stumble onto the correct pathways may exit the MaiZe in less than 30 minutes; but the more directionally-challenged may take a couple of hours, providing a source of recreation that is fun for all ages, clean, educational and unique. Many people have watched the Santa Paula Rotary MaiZe grow by looking at images on social media. The MaiZe used at the Pumpkin Patch has been featured on CNN, National Geographic, CBS, NBC, Discovery, People Magazine and more. According to Jan Marholin, Santa Paula Rotary President, "Santa Paula's Pumpkin Patch is a tradition, and that it just isn't the start of the Holiday Season without it. Limoneira Ranch is "the" place to pick a perfect pumpkin, have fun and learn a little something about agriculture, whether you come with your kids, grandparents, spouse, date or school. It just seems to appeal to everyone." 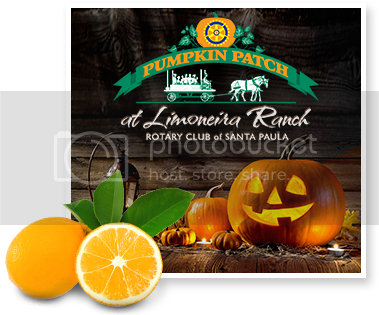 All proceeds from the Santa Paula Rotary Pumpkin Patch at Limoneira Ranch support local charities, civic organizations and schools. Come out and enjoy the fun! Nicole Courtney is Limoneira's August ambassador. 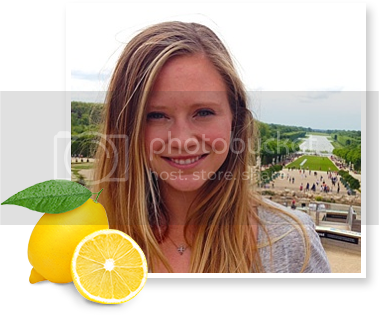 Nicole lives in Moscow, Russia and spends her summers in Le Rouret, France. 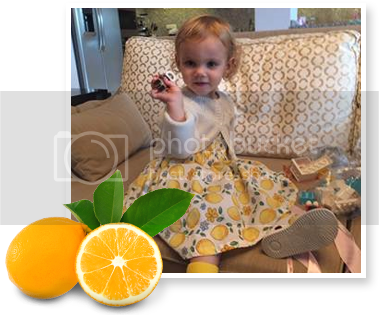 She loves Limoneira lemons! Have some great lemon earings or other lemon wearable? Do you like juggling lemons or walking your pet in their favorite lemon outfit? Have you been known to sport lemon balloons? Have favorite lemon toon? Then August just might be for you! Make sure to scour the Limoneira Facebook this month as Limoneira kick-starts "Calling All Lemon Lovers". Let your creative (lemon) juices flow! This month our lucky winner is Karen Booth from London. As our monthly winner, Karen has won a Limoneira Orchard Fresh or Lifestyles Gift. Congratulations Karen !! !